Alice Elizabeth Deen, 93, of Broughton, IL passed away on February 14th, 2018 at Hamilton Memorial Hospital in McLeansboro, IL. She was born April 27th, 1924 in Walpole, IL a daughter of Albert and Daisy (O’Bryan) Davis. On April 11th, 1948 she married Hugh Deen. They spent 60 happy years together. 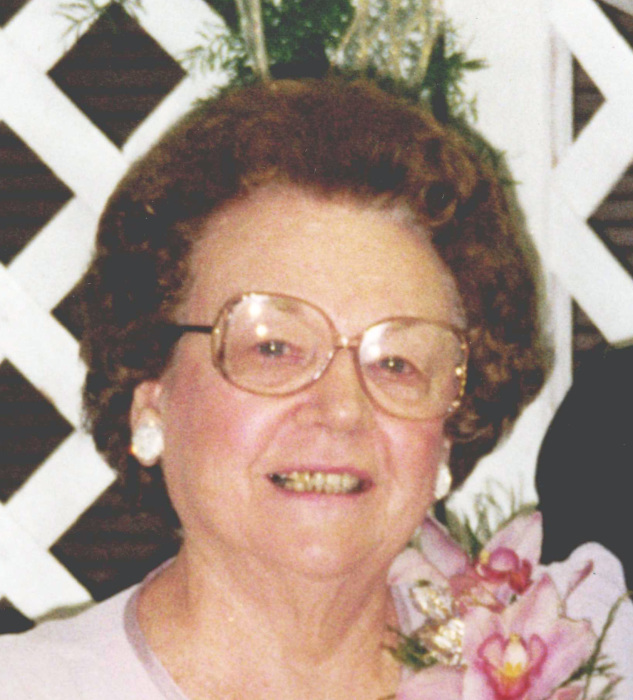 Mrs. Deen was a homemaker who loved to cook, work in her garden, make quilts, and spend time with her family. She donated several quilts to Relay for Life in Hamilton County for their fundraising efforts. Mrs. Deen was a longtime member of Hebron Cumberland Presbyterian Church near Walpole. She was preceded in death by her beloved husband Hugh Deen, both parents, 3 brothers and 3 sisters. Alice is survived by 2 sons: Roger Deen and wife Connie of Broughton, Ron Deen and wife Lois of Dale, IL; one daughter Lisa Young and husband Chris of Broughton, 7 grandchildren: Michelle York of McLeansboro, Daniel Deen of McLeansboro, Matthew Deen and wife Amy of McLeansboro, Jason Young and wife Erika of McLeansboro, Lindsey Kessler and husband Tom of St. Libory, IL; Darla Bassetti and husband Nick of Sarasota, FL; and Dean Roberson and wife Katrina of McLeansboro, and 16 great grandchildren: Justin & Jaden York, Jacob Deen; Ellie, Hallie, and Hank Deen; Chase & Leah Young; Ethan, Eli, Evan, and Emmit Kessler; Kassandra, Nicholas, and Alexander Bassetti, and Dacin Roberson, one sister Sue Cunningham and husband Claris of St. Louis, MO; 1 brother Bryan Davis and wife Sandy of Conroe, TX; and several nieces and nephews also survive. Funeral services for Alice Elizabeth Deen will be held at 3 pm on Saturday, February 17th at the First General Baptist Church in McLeansboro with Rev. Jacob Gray officiating. Visitation will be Saturday from 1 pm until 3 pm at the church. Interment will be at Hebron Cumberland Presbyterian Church Cemetery in Walpole immediately following the funeral. In lieu of flowers, the family requests that donations in Alice’s memory be made to the Hamilton Memorial Hospital Foundation, and will be accepted at the church, or at the Young Funeral Home in Wayne City, IL which is in charge of the arrangements.